Motor Neurone Disease (MND) is a fatal neurodegenerative disease where the nerve cells that enable us to move, speak, breath and swallow slowly fail to work normally. In 2009, Glenn began to lose motor control in his right hand, which was put down to nerve damage from a motorcycle accident. Symptoms worsened over the subsequent years, and Glenn was diagnosed with Motor Neurone disease in 2013. Life expectancy for Motor Neurone disease is just two and a half years, so every day is a blessing for Glenn and his family. 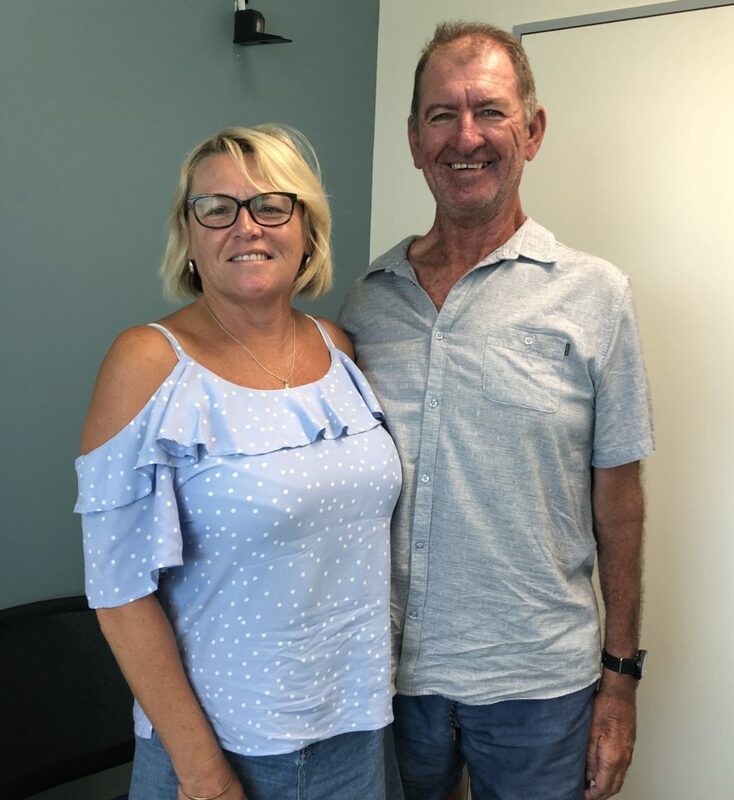 Glenn and his wife Sue travel to Brisbane regularly from their home in Gympie to participate in two clinical trials at Wesley Medical Research that each look at different areas of Motor Neuron Disease. “I’m enrolled in as many trials as I can. The more trials that can be done for people with this disease, the closer we can get to better treatment or even a cure. Even if this particular trial doesn’t find the answer, it may find a link to something, and that’s worth it in my book, “said Glenn. Glenn has just completed a trial testing the impact of squalamine on disease progression. There is emerging evidence suggesting the gut microbiome and toxin levels play an essential role in the disease progression. “Squalamine is a natural antibiotic that in preliminary evidence, has shown to target bacteria that produce toxins. In reducing these toxins, we hope to slow the disease progression,” said Professor Pam McCombe. Both Glenn and Sue expressed their gratitude for the opportunity to be part of research projects that may uncover answers for sufferers of this debilitating condition. “Without donors and funding, the process of finding a cure would be much slower, that’s for sure,” said Glenn.